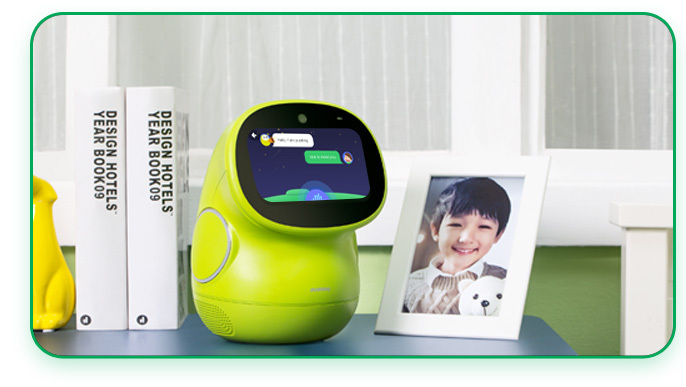 PUDDING BEANQ Smart Robot - Intelligent Steward Co., Ltd.
Pudding BeanQ Robot education expert team, with joint force of the DMR Research Institute of Tsinghua University, co-developed a range of stage-advancing preschool English initiation courses. It adopts an immersive teaching style to train children for a good habit in listening carefully and speaking bravely. 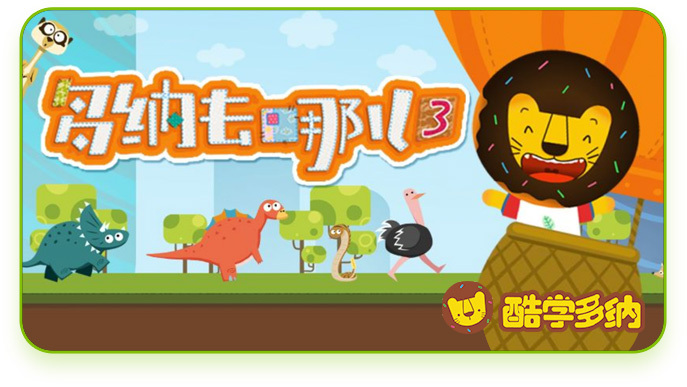 We cooperate with [Donut (Ku Xue Duo Na)], a well recognized child education sub-brand of New Oriental Education & Technology Group Inc., and other premier third party platforms to build in a variety of forms an English learning matrix with width and depth. We want to make learning a fun thing to do and encourage children to love it and be brave to talk. Enabling practice according to the elementary school textbooks and curriculum specified by the Education Committee, completing knowledge preview and review in one-stop. Checks and assesses pronunciation in real-time through intelligent technology, correcting pronunciation errors and keeping children away from speaking English with Chinese accent. You can practice with AI English teacher at anytime and acquire a native English-speaking environment without traveling abroad. Strategically cooperating with Nuance, a globally recognized voice control technology company, we are able to build an obstacle-free learning environment that provides both English and Chinese language support and simultaneous interpreting service. adorable expressions or amusing “baby talks”, even when you are not there by their side. Even if you are busy everyday, it is possible to see your child in fragmented moments. and talk to you at anytime anywhere. a holiday or birthday, or each important and heart-warming moments of your baby’s growth. Richer Content with Better User Experience! with a technological heart, and make this love their strength to grow and advance. “Pudding” represents a smart companion, a happy childhood, unlimited imagination and a creative future. “Pudding” advocates an idea of “learning with fun”. 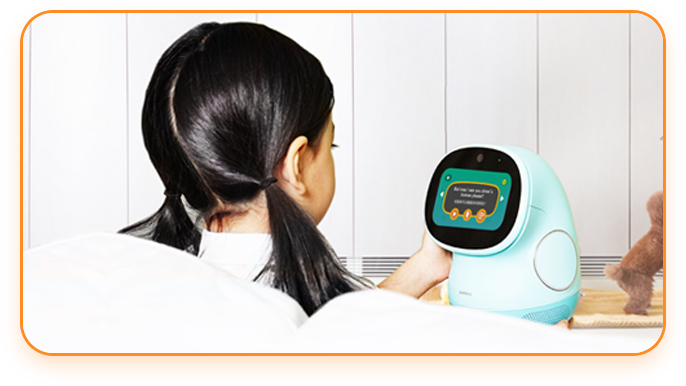 It provides children with a robot friend, allowing them to experience all the joy and fun of being a child during the magical period full of curiosity and adventures when babies become children. At the same time, it initiates the development of children’s intellectual potential and trains them for good behaviours and habits. In the future, “Pudding” is going to continue developing new members of the robot family, customized for children of different age groups. 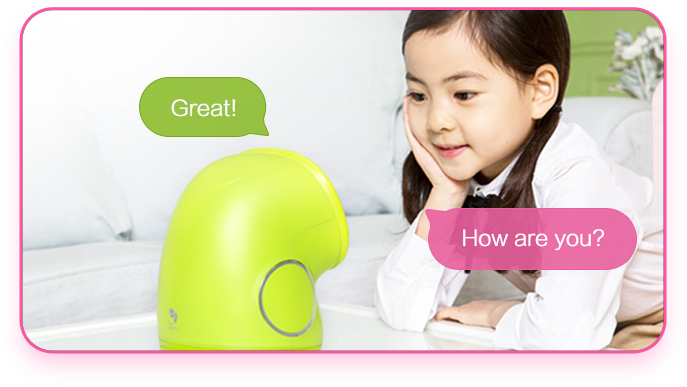 It commits itself to create smart robots that can bring educational value to all children and are fun and useful. It wishes to see the joy and wisdom brought by “Pudding” to become the supporting strength for children to growth and advance.